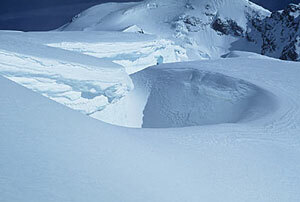 Jungfraujoch 3464 m. We ski down the Aletschgletscher or Louitor and or Trugberg to the Konkordia hut 2850 m.
We ski for 2-3 hrs. Climb up to the Gruenhornpass 3280 m. From there we continue down to the Finsteraarhornhut 3048 m.
We climb for 4 hrs. and ski for 1 hr. to the hut. 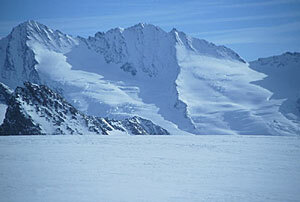 Ski the Gross Wannenhorn 3005m,. 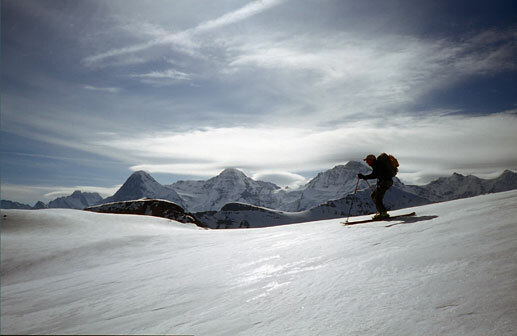 the best ski mountain around, continuing to the Oberaarjochhut 3258m. We climb for 4 hrs. and skin to the hut in 1-2 hrs. 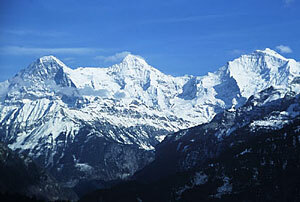 We ski down a great, long run to Munster 1360 m. where we take the train and bus back to Interlaken. 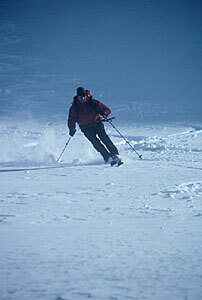 We ski up for 1-2 hrs. and down for 1 hr. 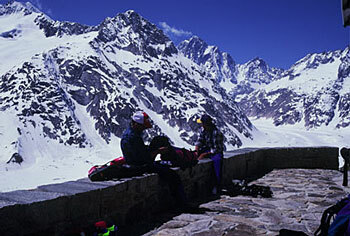 Includes: hut fees, 3 breakfasts and 3 dinners, 1 liter of tea, 4 days guiding. Not included: Travel expenses to and from the meeting place, travel expenses like tram/train/taxi costs during the tour, lunches, drinks, dinners in towns, rental equipment and souvenirs. There is an extra charge of Sfr 10 per day if you are not an American Alpine Club member or equivalent! The same area as the rugged 7-day tour but less committing. This is a less strenuous tour and requires a lower level of physical fitness. A normal day will be 5-7 hrs. 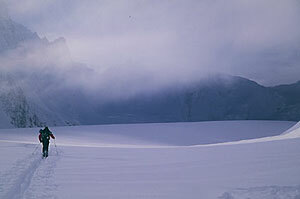 of uphill and downhill skiing in high altitude with a light backpack. 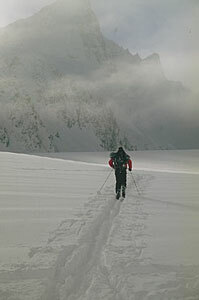 Reading for route description and guide book: Alpine Ski Mountaineering: Volume 1 or 2 Western Alps by Cicerone Guide.